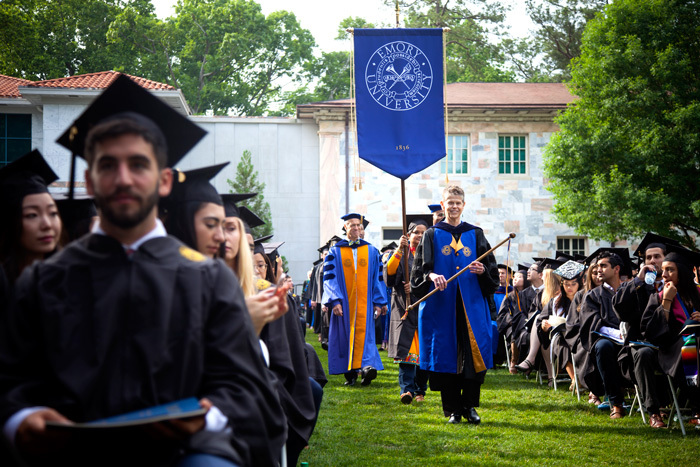 Steeped in tradition, Emory's 171st Commencement honored the diverse achievements of this year's 4,585 graduates, distinguished by their commitment to using knowledge in service to the world. 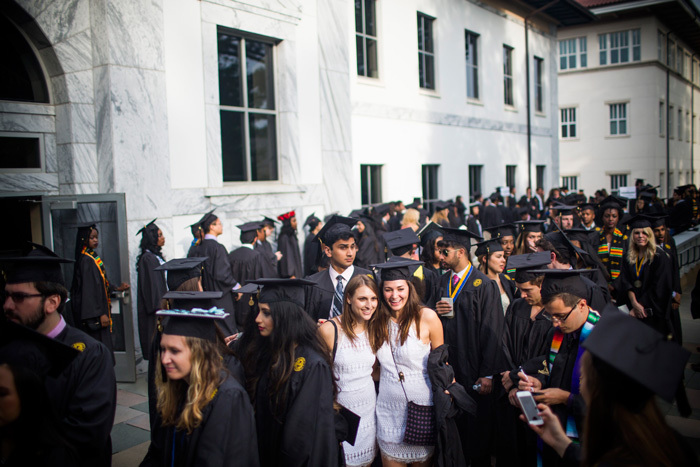 Students gather before Emory's 171st Commencement. 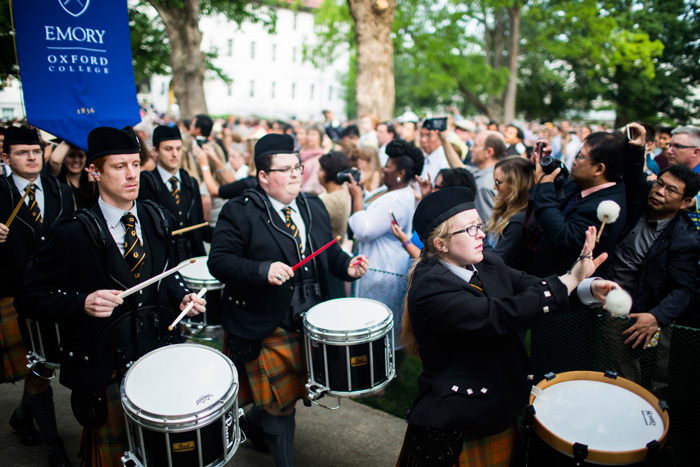 Drums lead the procession into the university-wide Commencement ceremony. 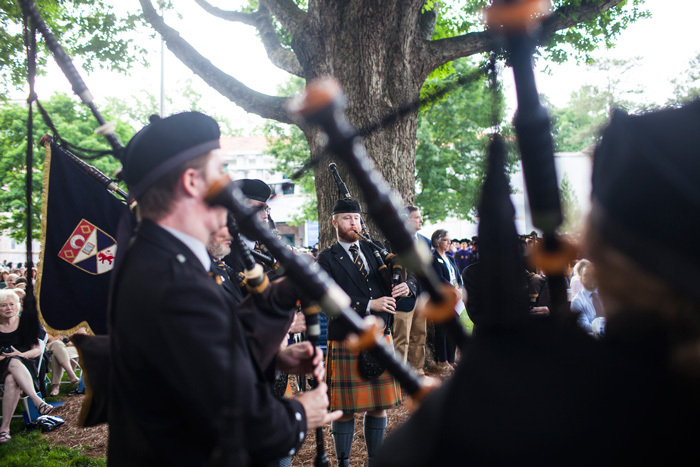 Bagpipes are part of the traditional procession into Commencement. The platform party processes to the stage for the start of the 171st Commencement. Students are all smiles as they wait for the Commencement ceremony to officially begin. 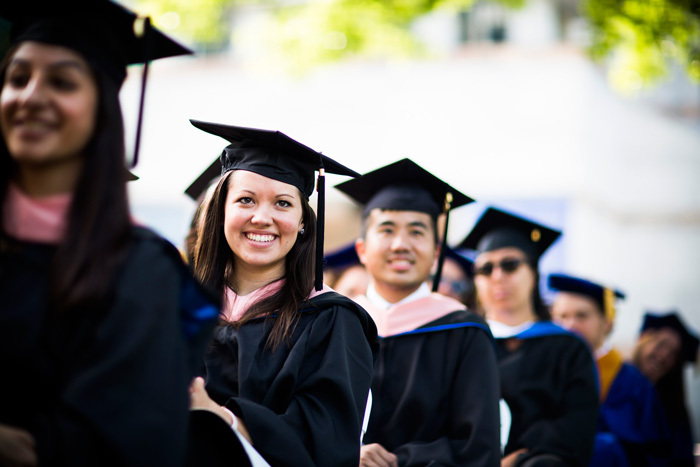 The Class of 2016 includes 4,494 graduates, earning a total of 4,585 degrees. 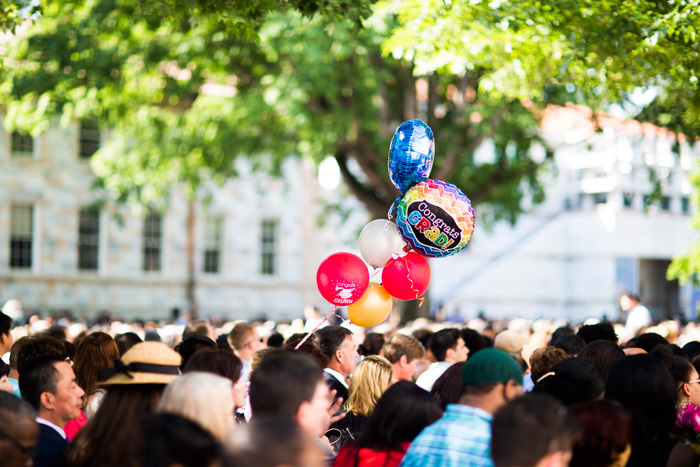 This year's graduating class includes students from 49 states and 76 countries. 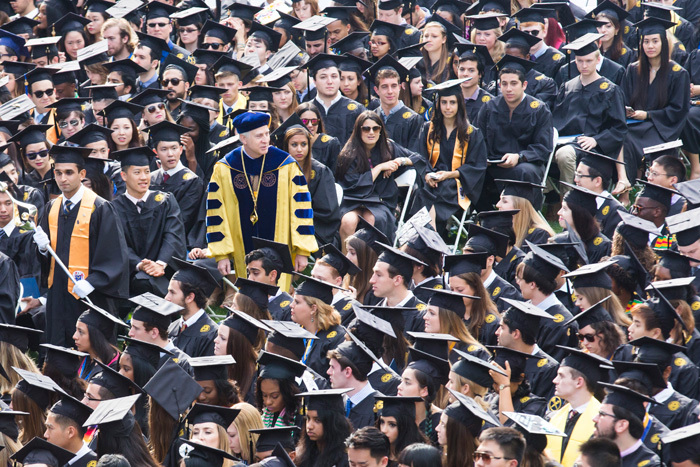 A crowd of about 15,000 fills the Emory Quadrangle for Commencement. 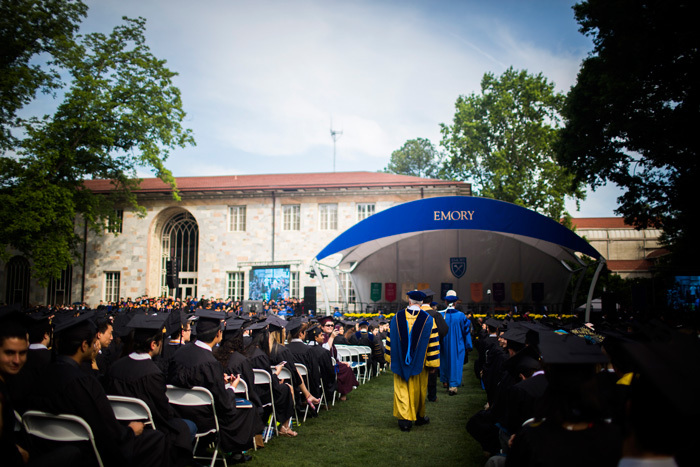 Emory President James Wagner concludes the procession to the stage for Commencement. 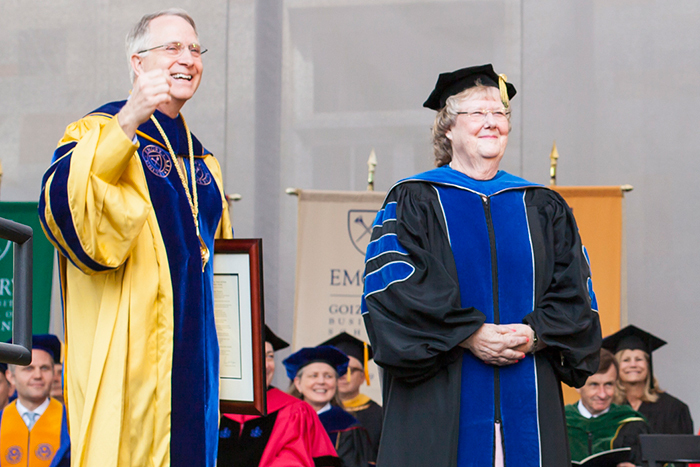 President Wagner will retire in August after leading Emory for 13 years. 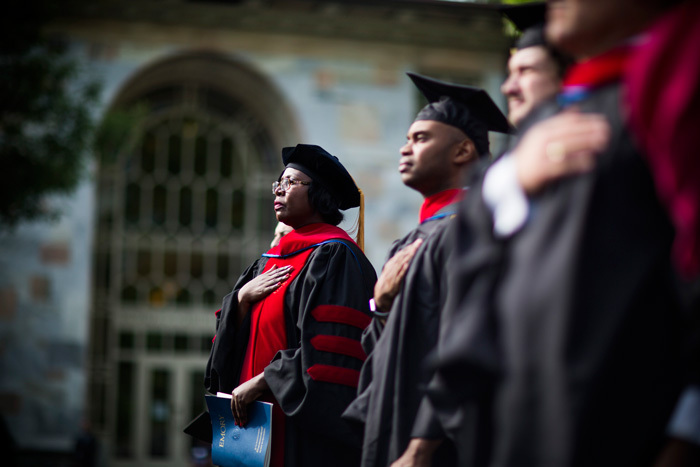 Graduates, faculty and other attendees stand for the national anthem at the start of the Commencement ceremony. 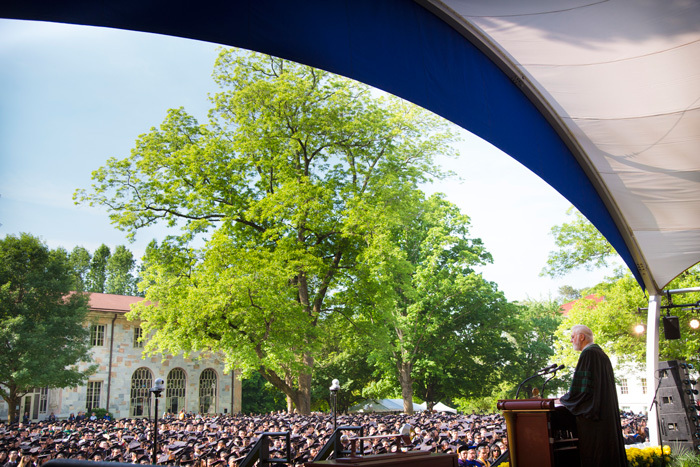 Presiding over his last Emory Commencement, President Wagner praises the Class of 2016 as "entrepreneurs of care." 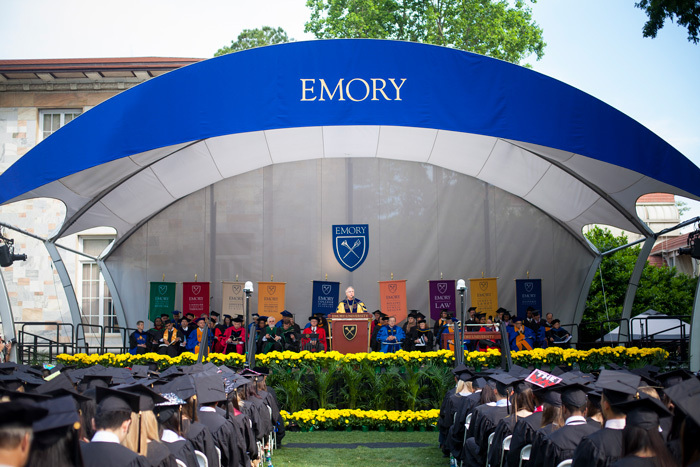 The Emory community "demonstrates again and again that a university can, and I believe must, have a soul," President Wagner tells Commencement attendees. Nowmee Syeda Shehab 16C, who majored in women’s, gender and sexuality studies, received the Marion Luther Brittain Service Award, the university’s highest student award for service and leadership. Nancy Thompson 71C 77PH, professor of behavioral sciences and health education in the Rollins School of Public Health, received the United Methodist Church University Scholar/Teacher Award. Eloise Carter 78G 83PhD, professor of biology at Oxford College, earned the Thomas Jefferson Award for significant service to the University through personal activities, influence and leadership. 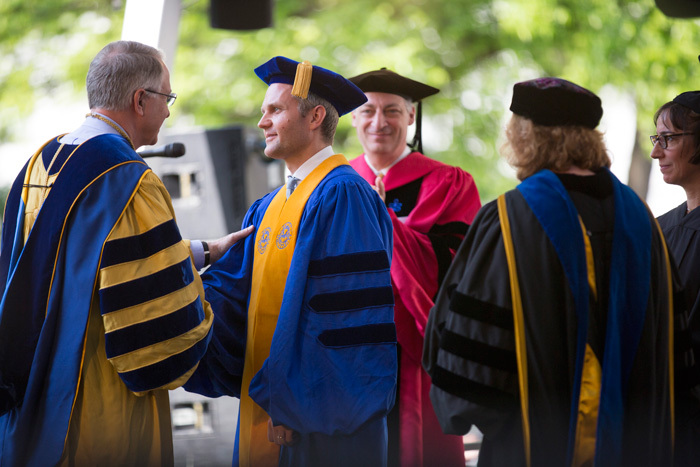 Gus Danowski accepts an honorary degree on behalf of his father, Raymond Danowski, whose collections became one of Emory's literary jewels, the Raymond Danowski Poetry Library. 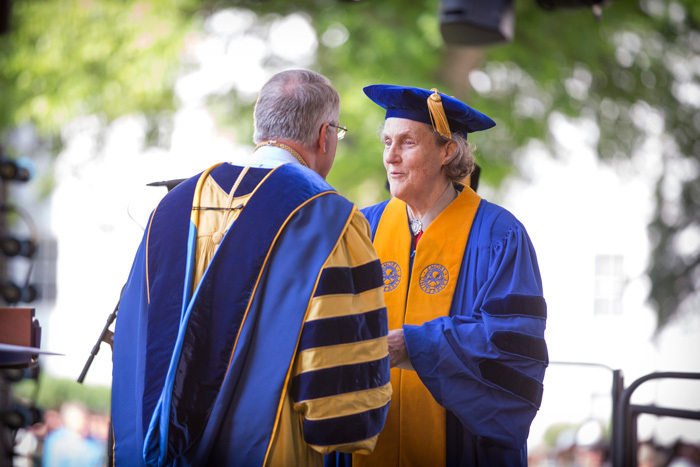 President Wagner congratulates Colorado State University professor Temple Grandin as she receives an honorary degree for her contributions as an autism advocate and expert on animal behavior. 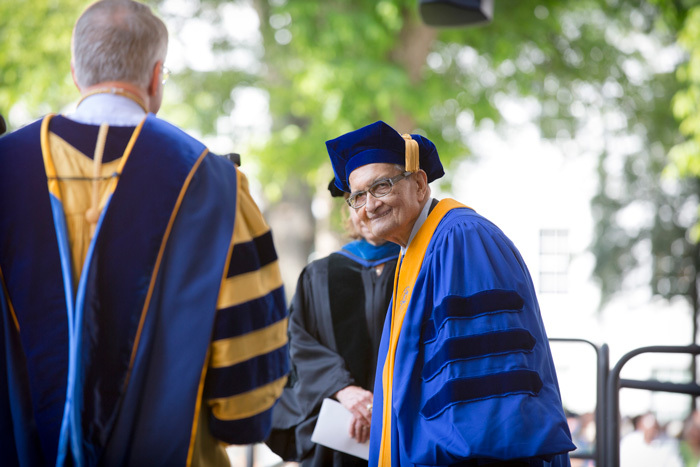 Nobel laureate and Harvard professor Amartya Sen receives an honorary degree for his groundbreaking research into welfare economics and the impact of economic policies on nations and communities. Renowned epidemiologist William Foege gives the keynote address after receiving the Emory President's Medal. "Home is not where you are from; home is where you are needed," William Foege tells graduates at the end of his address. "As I congratulate you on what you have done, I also hope we all find our way home." 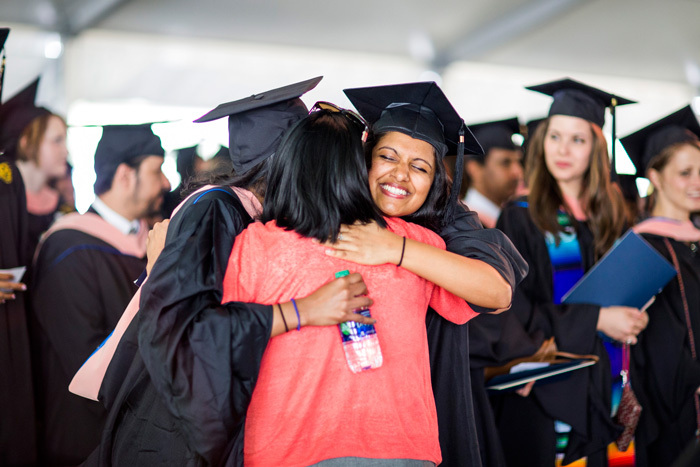 Graduates celebrate as they prepare to move on to the next phase in their lives, encouraged by President Wagner to "carry your creativity, excellence and character into the communities that await you." After volunteering at local food pantries, Naomi Maisel founded Emory's chapter of Campus Kitchens, which saves about 1,000 pounds of potentially wasted food every month and converts it into healthy meals for those in need. 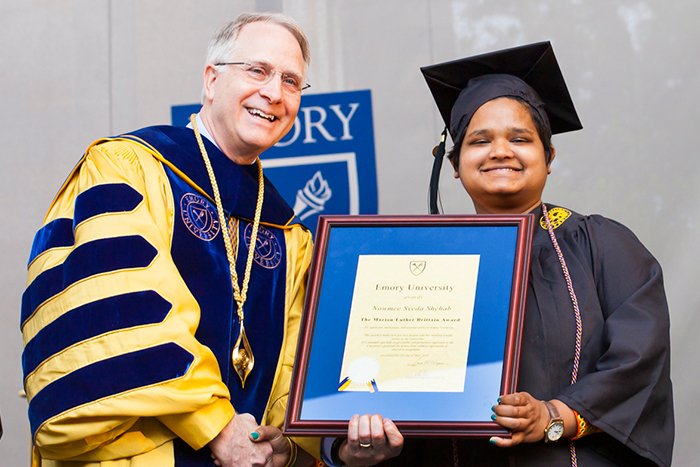 In just three years at Emory College, Nowmee Shehab worked tirelessly on issues including sexual violence prevention and financial aid for undocumented students, earning the University's highest student honor. 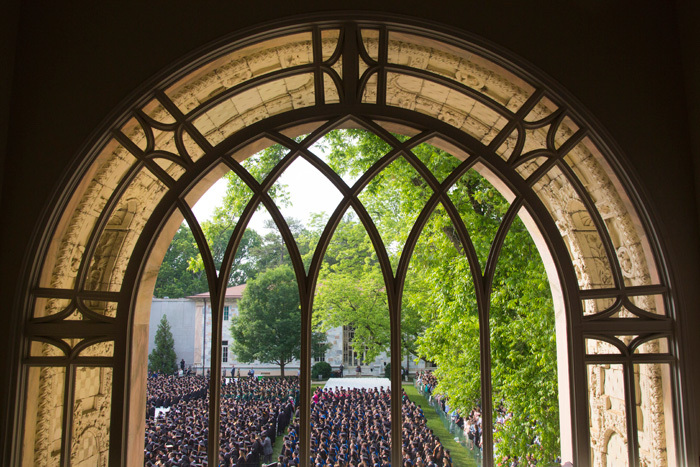 Selected to address his fellow graduates, TableTalk co-founder Ami Fields-Meyer will focus on how the Class of 2016 can use lessons learned at Emory to impact the world. Emory senior Brandon Walker co-founded the Emory Impact Investing Group, a nonprofit that provides loans to small businesses in economically disadvantaged areas. Haley Reid lost her father two weeks after starting nursing school, then excelled in her nursing studies while caring for her mother, who was diagnosed with cancer. Growing up in rural Kentucky after being adopted from Vietnam, MacKenzie Wyatt knew how it felt to stand out. In the Class of 2016, she also stands out -- for her enthusiasm, her research and her work to help orphans. 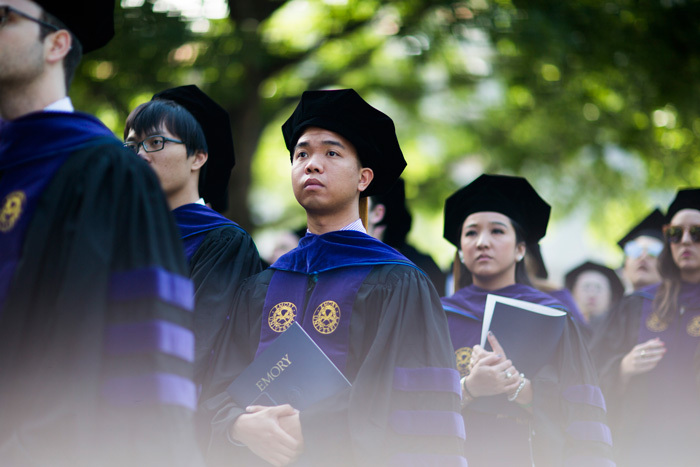 Praised for his academic achievements and generous spirit, Will Eye credits his widowed mother for teaching him about compassion and plans to use his law degree to advocate for social change. 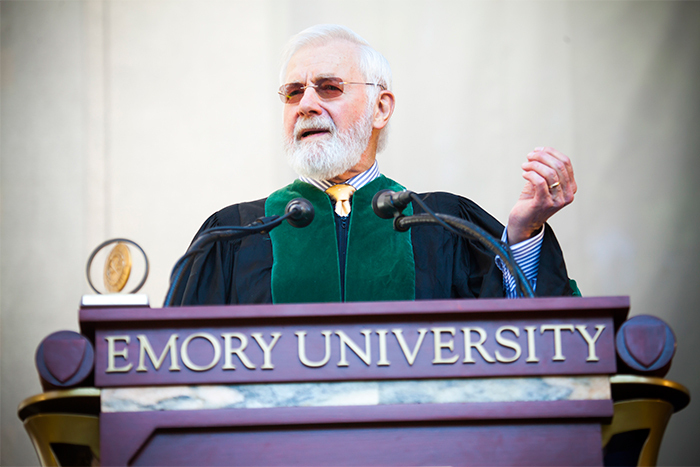 On May 9, Hurl Taylor, age 77, will march in his second Emory Commencement. Decades after graduating from Emory Law, he will receive a master's degree from Candler School of Theology to support his prison ministry. Preparing to leave Oxford College for Emory's Atlanta campus, Diane Glover leaves a record rich in community service and engagement. Inspired by her own experiences growing up in West Africa and her work with vulnerable populations as an MD and MPH student at Emory, Aya Fanny vows to dedicate her life to improving global health. For Howard Chiou, who will receive his PhD from Laney Graduate School, studying hospital culture through the lens of anthropology offers a way to understand and prevent medical errors. 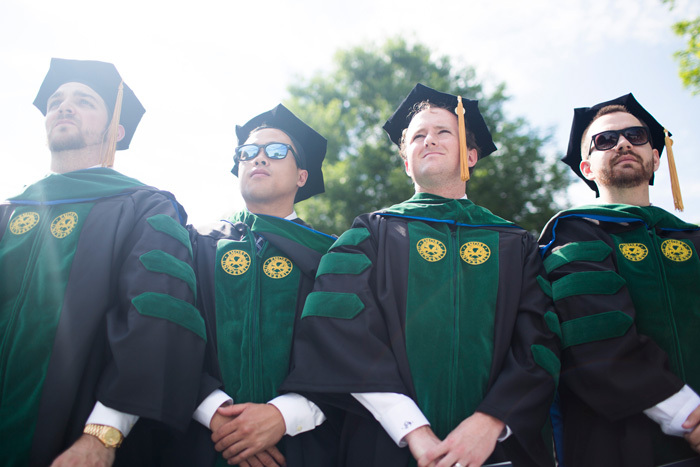 Davie Zolowere served as a doctor and health officer in Malawi before coming to Rollins School of Public Health to earn his MPH. After graduation, he plans to return home to champion reproductive health. Lynne Huffer, Emory's Samuel Candler Dobbs Professor of Women's, Gender and Sexuality Studies, draws praise for encouraging students to think critically, creatively and independently. Lauded for exemplary teaching, Oxford College biology professor Eloise Carter also co-authored a landmark report that led to Emory's forest protection plan, launched a summer program for teachers, and shepherded Oxford's new science building. 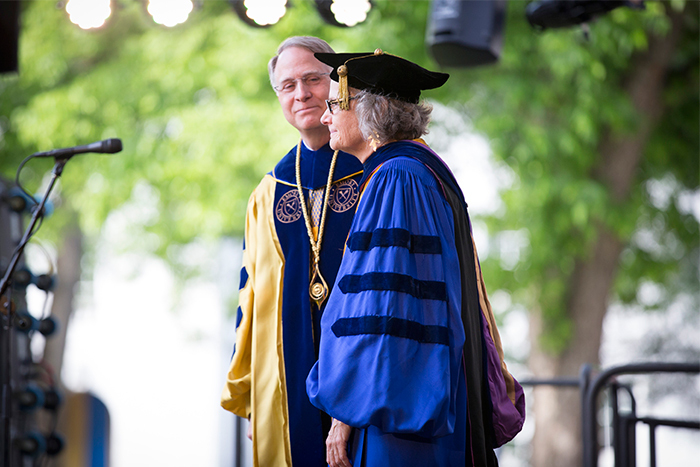 Called the "founding mother" of the Rollins School of Public Health, professor Nancy Thompson is honored for almost four decades of service to Emory. 2016 PhD graduate Nicole Varga and religion professor Dianne Stewart are the recipients of this year's Eleanor Main Graduate Mentor Awards, presented by Laney Graduate School to highlight mentoring as a cornerstone of graduate education.